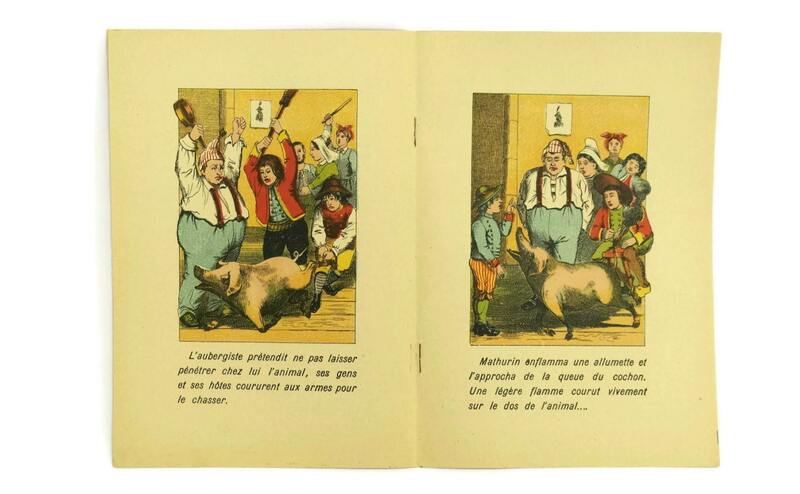 A lovely antique French children's book entitled "Le Cochon Ensorcele" (The Cursed Pig). 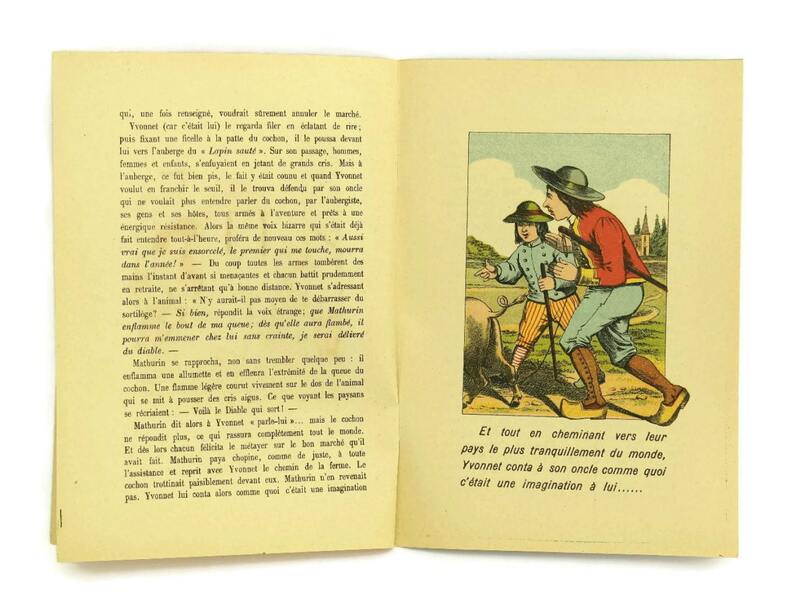 It is part of a collection known as "Serie A" which children all over France loved and enjoyed. 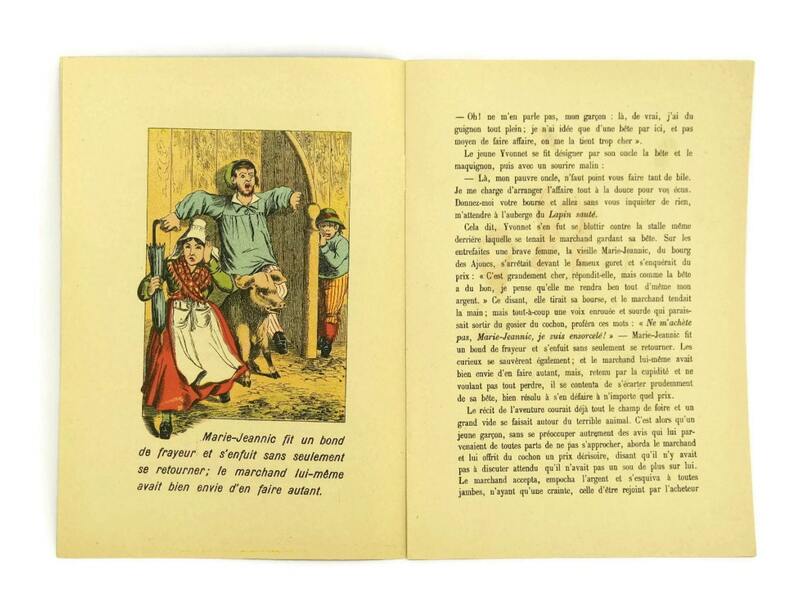 The book is printed in full color print on heavy paper. 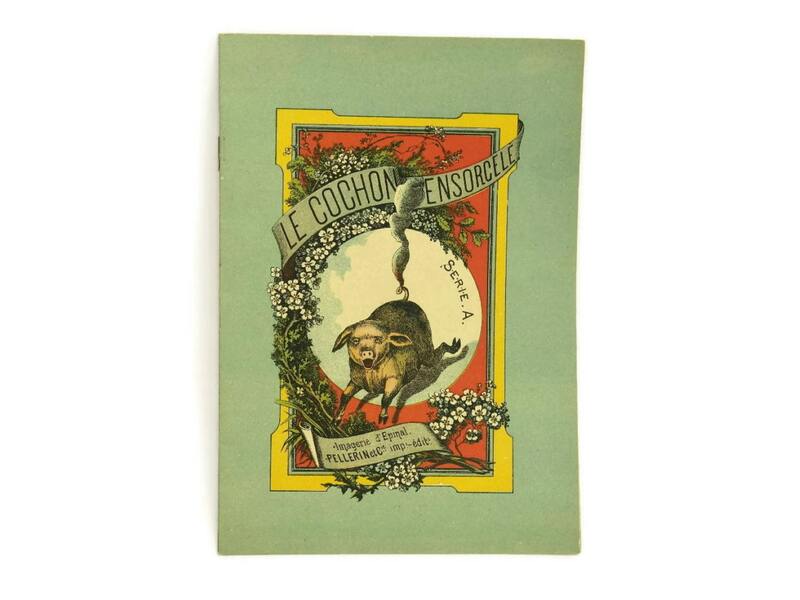 It has a soft cover book printed by the famous Pellerin of Epinal company and 8 interior printed pages. 8" Long x 5 1/2" Wide (20 cm x 14 cm). 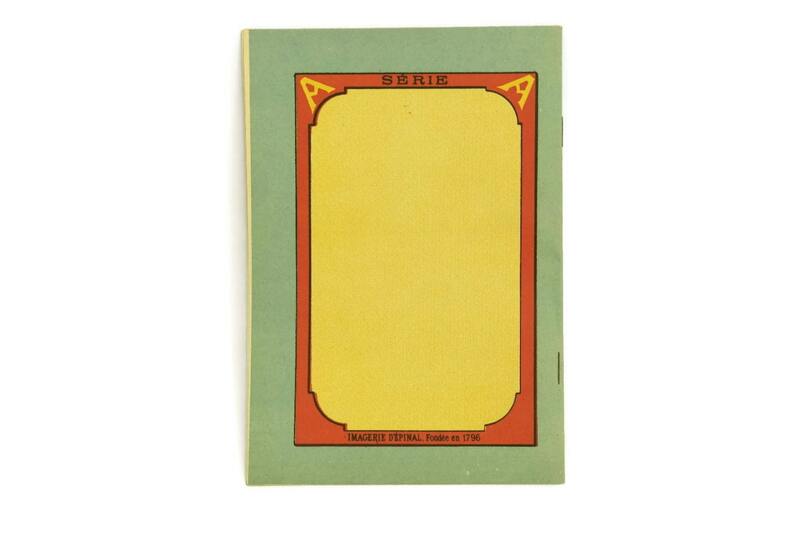 The children's book is in very good without tears or damage.